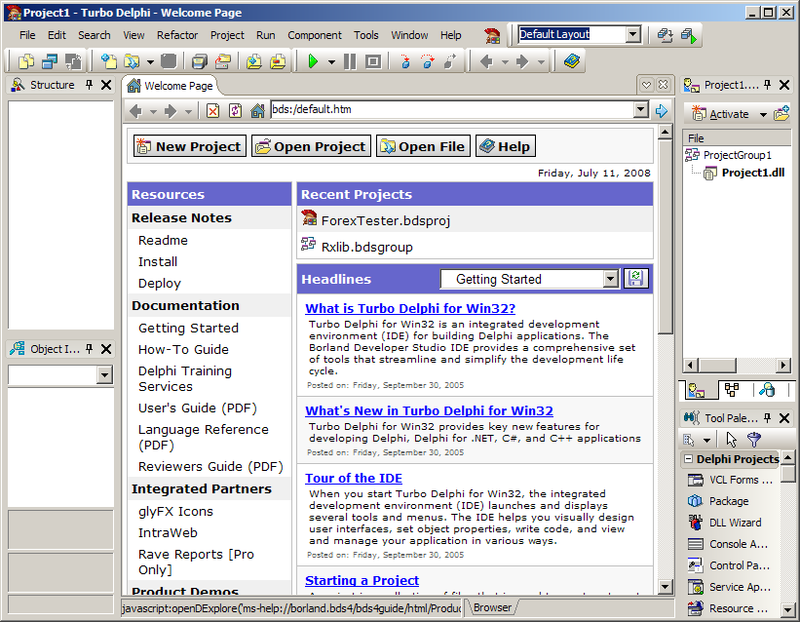 Soooo, I assume that you already installed Turbo Delphi on your computer, it could be also any other Delphi, for example Borland Delphi 6, 7 or 2006/2007. But I will make screen shots from Turbo Delphi Explorer. Good news - all versions of Delphi are compatible and you do not need to do any changes in source codes. Save your project with Ctrl+S and define its name, this will be your *.dll file name. By default it will save project to "My documents\Borland Studio Projects". I changed name to DemoStrategy. To compile your project press Ctrl+F9. 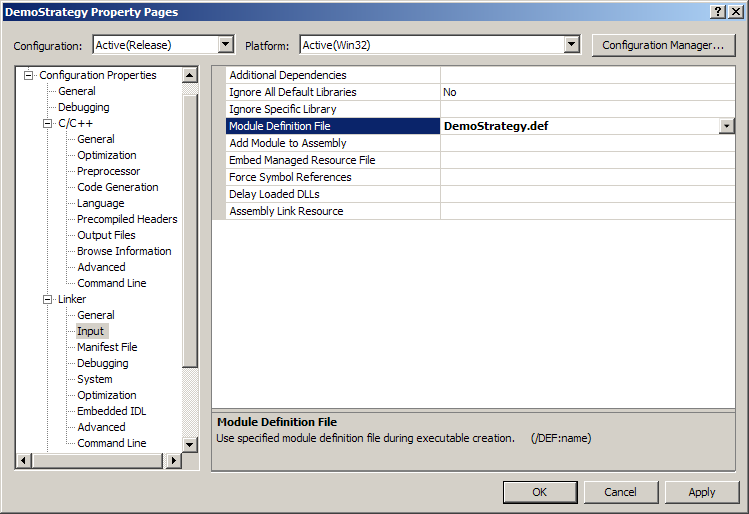 Voala - we have DemoStrategy.dll in our directory where we saved our project. 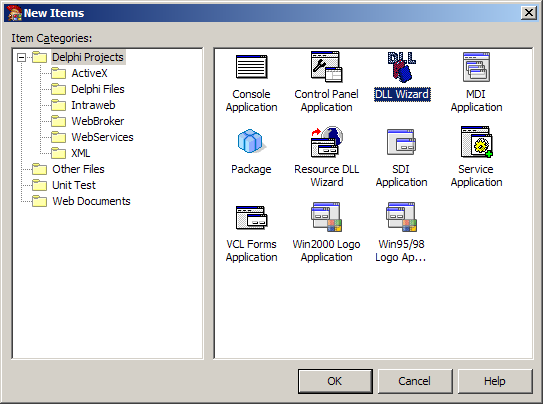 This is all you need to do to create dll library in Delphi, that's why I love this fantastic tool. Last edited by Terranin on Mon Jan 26, 2009 3:57 pm, edited 5 times in total. - InitStrategy - this procedure is called only once, when strategy is initialized after it was loaded by ForexTester when it starts. - DoneStrategy - this procedure is called only once, when you close ForexTester to release some resources that you possible allocated in InitStrategy. - ResetStrategy - this procedure is called every time when you start new testing. I will explain it later in details. - GetSingleTick - this procedure is called every time when price changes during testing. It does not matter what currency changes, strategy can work with every currency and receives every changes from all currencies. As you can see, I added 2 string in InitStrategy procedure. First string defines short name of strategy and second defines some longer description. 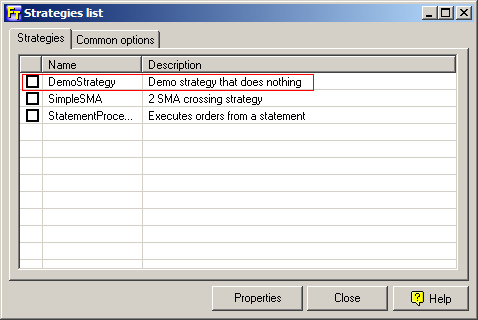 You will be able to see these string in "Strategies list" dialog in ForexTester. Press Ctrl+F9 and compile our project. 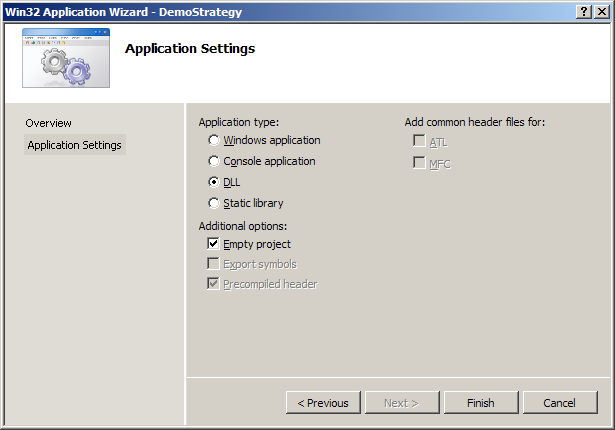 You will have DemoStrategy.dll file at the same folder where you saved the project. Now we need to import this file into ForexTester. All you need to do - just close ForexTester (if it was started), copy DemoStrategy.dll to <ForexTester>\Strategies\ folder, and start ForexTester again. If everything was correct you will see our strategy in Strategies List (menu Tools -> Strategies List). Congratulations! You created your first strategy for ForexTester. It does nothing though and has no options but it is only first step. 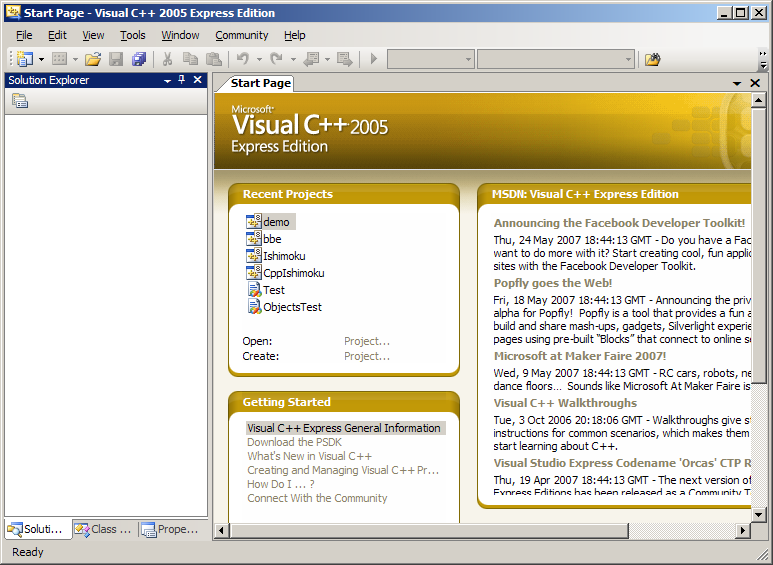 Now, let's make the same for Microsoft Visual C++ 2005 Express Edition. Huuuuh, this is Microsoft, what do you want? Save your project and build solution. You can find your dll file in \Release\ folder. I have and error with the Scrip, I think there's something wrong in the script. Erjagope wrote: I have and error with the Scrip, I think there's something wrong in the script. There should be a function declaration done for that. 2. Also fixed the following bug: add "="
I am new to coding and i am using 2013 VS express. Any idea why i get the following msg when i try to build the example strategy? I feel like i have followed all instructions. I have spent over 4 hours on this and its doing my head in. Any help would be greatly appreciated. Please copy ObjectsTest.def file from C:\ForexTester2\Examples\Strategies\C++ folder to the root folder of your project. Also please set this file as the linker in project properties. I am using Lazarus IDE v1.2.6 and have an issue running the strategy in FT2. It seems to compile fine when I am both LCL and LCLbase in the required packages along with StrategyInterfaceUnit, TechnicalFunctions, and IndicatorInterfaceUnit in the project folder. I did the copy/paste method first, but it never came up. Next I did the install through the application and it gives me the following error: Can not install strategy, file will be deleted. Have error: Can not get "ReplaceStr" proc address. I am not sure where it looks to get this. Please let me know what I am missing. Do you have this issue when trying to compile this simplest strategy? Or you are trying to compile some another strategy? In this case can you send source code? Also please try to use usual Delphi, everything should work in this case. Yes, this is with the first strategy, but not during the compile. It does that fine. It is an issue when I try to run the .dll in FT2. Probably this issue is associated with Lazarus. Sorry, but we haven't worked with Lazarus so we can't help you with this. 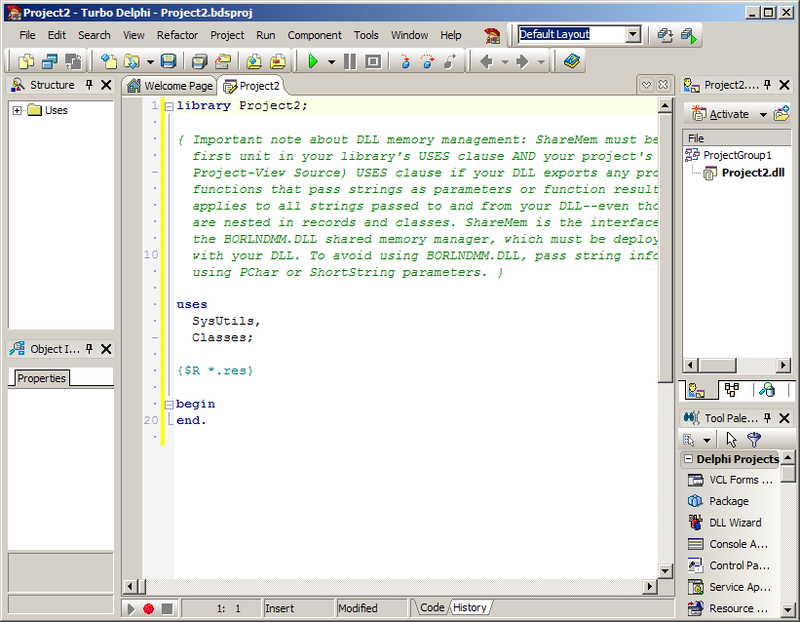 Can anyone recommend a free Delphi IDE? I haven't used Delphi for many years and it looks like Turbo Delphi (or it's successor) is no longer free. You cna try to search for Delphi7_Lite_Full_Setup_v7.3.3.0_Build_2009-6-22_.rar in Internet. I don't know other free Delphi versions. Thanks, but I'd rather not risk installing an executable from a random share site as it might contain viruses/malware. 2. add 'include' path, get this error. What do I need to do to fix this error? I don't see anything in the wrong place. 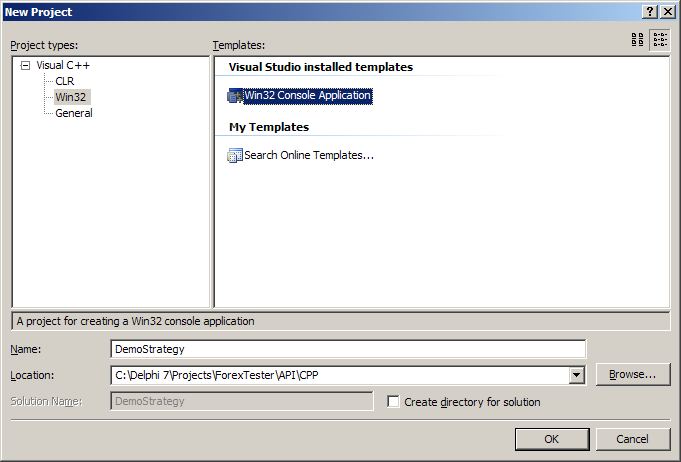 I use Visual Studio 2008 Express to compile it. 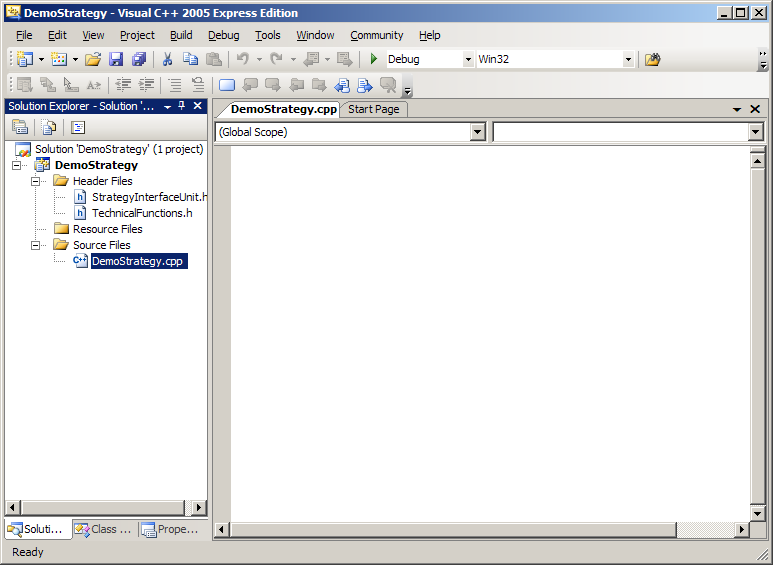 I've compiled DemoStrategy.dll with Visual C++ 2010 Express and installed it. During the installation (Install New Strategy), I have the message "Can not get InitStrategy proc adress". If I directly copy the file in the FT Strategy folder, I don't see it in Strategies List. Well I did something that resolved my problem, I don't know whether it's a coincidence or not, maybe it could help someone struggling with the same problem. In the properties on the project I put the complete name of the .def file (which was in my project directory lol). Also I verified that my project properties where set for everything (debug and release) by choosing the "All Configurations" option. I noticed too that trying to build the project with the Debug option is a very bad idea because it display errors that are not there in the release building. So Now when I put DemoStrategy.dll in the Forex Tester Strategies folder and restart FT I can see my strategy among the other ones. Last edited by badasstrader on Fri Sep 15, 2017 4:03 am, edited 1 time in total. You should make some procedures visible for Forex Tester defining them in EXPORTS section i.
windows.h is a default header file, if your compiler doesn't have it then we can recommend you to download from the Internet. I have TechnicalFunctions.h, but I don't have TechnicalFunctions.pas, Can you share it?